The Las Casas Institute at Blackfriars recently held a day-long conference on the perennial theme – but especially relevant in 2016 – of truth-telling in the world of politics. Blackfriars alumnus and former JCR president William Kent offers a personal reflection on the discussions of the day, which featured a distinguished list of speakers including the University’s Chancellor, Lord Patten. In recent times, the term ‘post-Truth’ has become increasingly used. The prominence of the phrase has been recognised by the Oxford Dictionaries who named it ‘Word of the Year‘. It is fitting, therefore, that the Las Casas Institute has recently been running a series on ‘Truth Telling’. The latest in this programme was a conference focusing on politics. This event brought together a number of excellent speakers and facilitated a useful conversation about the role of ‘Truth’ in public affairs. A central theme that emerged during the conference was the frequency with which ‘untruths’ have been employed in the service of popular campaigns. Lord Patten of Barnes, who has had a long and distinguished political career, drew from a number of experiences of witnessing truth being dispensed with in politics. He also turned to the extensive fabrications and false information employed in the recent Trump and Leave campaigns, arguing that the world is now depicted in black and white terms and that news thrives on rumours, gossip and victims. An interesting point that emerged in the discussion following Lord Patten’s address was that if the Leave and Trump campaigns employed many ‘untruths’, the Remain and Clinton campaigns, rather than developing their own narratives to convince people, focused on ‘myth-busting’ to discredit their rivals. Such an approach, it was agreed, did not bear fruit. Lord Patten’s comments and the subsequent discussion regarding Brexit and Truth were useful. However, to my mind there was more to be said about such political developments as the EU referendum result. Was the outcome simply the result of an ignorant majority being duped by a deceitful campaign? It was to this question that Jenny Sinclair, founder of Together for the Common Good, turned to in what was one of the most stimulating moments of the conference. Jenny began by stating that ‘post-Truth’ is an arrogant term and one that devalues the experience of ‘Truth’ felt by many who have experienced great isolation and insecurity. She argued that dismissing the views of many as ‘unenlightened’ closed down conversation. This alternative interpretation of Brexit cultivated discussion points that while at times, perhaps, were uncomfortable, were certainly very important. Lord Shinkwin in his talk steered the conversation away from Brexit and Trump and focused upon how it is possible for institutional frameworks to suppress the truth to the extent that its denial is embedded within the system. In the case of how we treat disability before birth – he himself is severely disabled – he argued that the current law allowing abortion on grounds of disability up to birth makes a lie of equality. He has recently introduced a Private Member’s Bill which would mean that the 24-week ceiling for abortion, before when the vast majority of disabilities are diagnosed anyway, would apply equally to non-disabled and disabled babies. He stressed that the Bill was neither pro- nor anti-abortion, rather it is about ending disability discrimination at the outset where it begins, before birth. The above themes, and many others, were all raised at the conference. Sadly, there is not time to treat them all. Where, however, it is vital to ask, are we to go next after all these discussions? How are we to move forward? One common thing that all the speakers shared was the view that the relationship between Truth and Politics must be renewed and revitalised. Annaliese Dodds MEP and John Battle, a former MP, emphasised the need for local action and engaging with communities; Lord Patten urged that politicians be more bold in responding to the tabloids’ destructive attack on democracy; Lord Shinkwin testified to the importance of pursuing the truth of equality even when faced by a system so institutionally prejudiced (against disability) that it is in a state of denial; Jenny Sinclair implored that we all participate in a conversation even with those we feel are completely different from us. Finally, as Br Samuel Burke OP reminded us, we are all involved in the search for ‘Truth’ and, for those of us who work in public affairs, that politics should be a campaign of service. 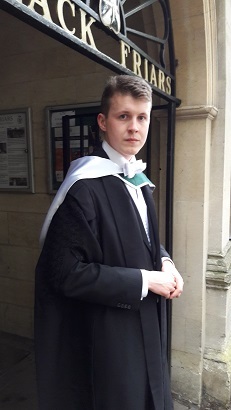 William Kent is currently participating in a parliamentary internship at the House of Commons. Pictures of the conference were taken by Br Joseph Bailham OP and can be viewed on his Flickr page.